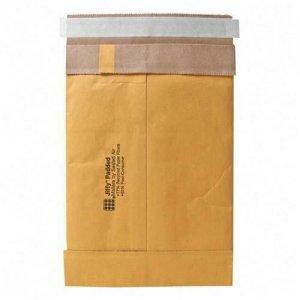 Heavy-duty satin gold kraft padded mailer offers uniform inner batting to provide rugged, all-purpose protection. Padded mailers feature an easy closure. Simply peel away the liner and seal. Construction contains 90 percent recycled paper fibers with 50 percent post-consumer material.